I did a review of Slackware Linux 14.0 a year ago and I was unsure as to whether I should make another one or not. There is rarely much change from a user point of view between different Slackware releases, and I expected to end up ripping off most of my previous review. Speaking of which, for a more well rounded assessment of Slackware Linux, please check out the Slackware 14.0 review. Anyhow, since I don’t expect to see an abundance of Slackware 14.1 reviews around the interwebs, I have chosen to give it another go. In an effort to add something new to this review I’ll revisit an old nemesis, namely the K Desktop Environment (KDE). This review is based on Slackware Linux 14.1 RC.2 towards the final 14.1 release. 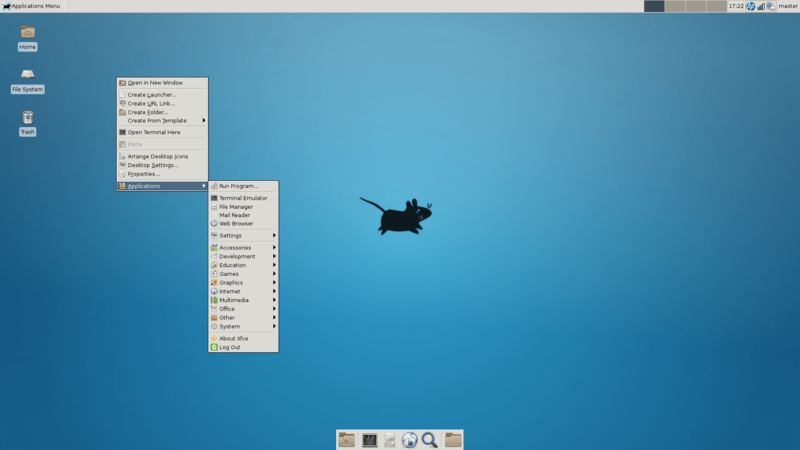 Slackware 14.1 brings a collection of fresh desktop environments including KDE 4.10.5, Xfce 4.10.1 and Fluxbox 1.3.5. The Linux kernel version is 3.10.17 from the 3.10.x branch, which will be getting long-term support. As stated in the release notes, the biggest change with the 14.1 release is probably the added support for systems running UEFI firmware (x86_64 release only). Please refer to the official release notes for details. You might have heard that Slackware is predominantly a distribution for developers and IT-professionals due to its alleged complexity and lack of graphical configuration tools. An opinion often attributed to people who have never used Slackware, as you would be hard pressed to find a less complex and effortless operating system to maintain. There is really only one requirement to be a Slacker, and that is the willingness to spend the needed hours to learn the basics. Installation is done with a user friendly ncurses based installer. The visuals might look a bit intimidating to new users but it’s actually very simple to understand and follow. In comparison, I’ve used graphical installers where I had to google for instructions as the absence of logic was complete. Pkgtool is a menu-driven package maintenance tool provided with the Slackware Linux distribution. It allows the user to install, remove, or view software packages through an interactive system. Pkgtool can also be used to re-run the menu-driven scripts normally executed at the end of a Slackware installation. In the past, my experience with KDE 4.x has been one of disappointment. Frequent crashes, an indexing service that terrorized all available system resources, and an overall sluggish performance made me favor the always-reliable Xfce desktop. My initial run of KDE 4.10.5 made me realize that this project is getting back on track as far as I’m concerned. There was an unfamiliar eerie sound of silence upon loading the desktop environment. No fans hitting the roof, nor cpu’s heating up to critical levels burning my lap. Everything was running so smoothly that I had to check if Akonadi was actually running. Furthermore, the Nepomuk indexing service seems to be able to do its file indexing while the user is idle, thus no longer competing for the same resources at the same time. I was also quite impressed with how well Nepomuk integrates and works with the Dolphin file manager. My only issue with Nepomuk is the lack of support for everyone’s favourite proprietary formats as this creates a need to install another full text indexing engine. Still, I’m almost tempted to get onboard with the whole idea of a semantic desktop which seems to a key factor in the long term vision of the KDE developers. 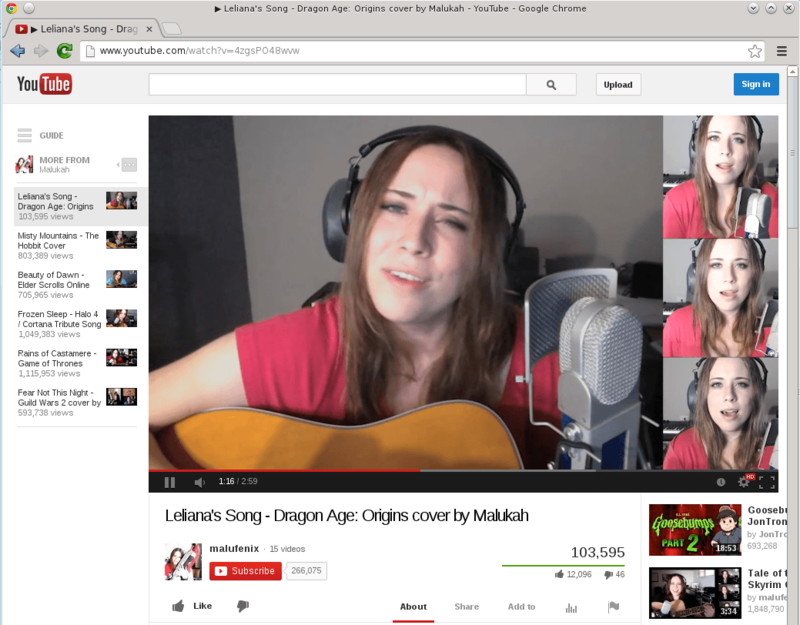 A stable Akonadi framework is essential for the KDE desktop experience as multiple applications depend on it. For instance, you cannot run KMail, KAddressBook or KOrganizer without having Akonadi enabled. In the past I’ve been advised to just disable all the semantic desktop services, but I don’t really see the point of running KDE without them. In my opinion you should either use the desktop as the developers intended, or you should find yourself a better alternative. My biggest concern with embracing this framework though is the overall complexity. When something does break, you might have a hard time identifying the cause of the problem. By a cruel trick of faith, Akonadi did crash on me after three weeks of smooth sailing. In my case it was due to a mysqlcheck zombie process (owned by the Akonadiserver) which prevented Akonadi from starting up. I thought initially that it might be caused due to a corrupt table that mysqlcheck could not restore but alas, that was not the case. The error log pointed at the Aria database engine as the root of the problem, but I was unable to find the cause after further investigating. I could easily enough kill the akonadi_control and akonadiserver processes respectively to get Akonadi going again, but the same issue returned on every boot. After getting none the wiser from reading through similar issues on the KDE forums, I decided to surrender and delete my Akonadi folder to start with a blank sheet. Since then, everything has worked flawlessly but it makes me a bit hesitant to commit to KDE at this point. Still, if you’ve been using Slackware and avoided KDE since the 3.x series, this might be the right time to give KDE 4.x another go. Even though I experienced some unfortunate errors, I will definitely spend more time with KDE, and that is something I would never have considered a couple of years ago. Slackware supports most media formats out of the box with few exceptions. However, if you want to enjoy your dvd collection you will have to install some additional codecs. You may pick up what you need in that regard at the slackbuilds.org site. When it comes to Adobe Flash, your best option is to install Google Chrome from the official extra repository, which has the Adobe Flash Player integrated. There is no theming or other distro specific customization with Slackware Linux. Everything is as close to the vanilla sources as possible. 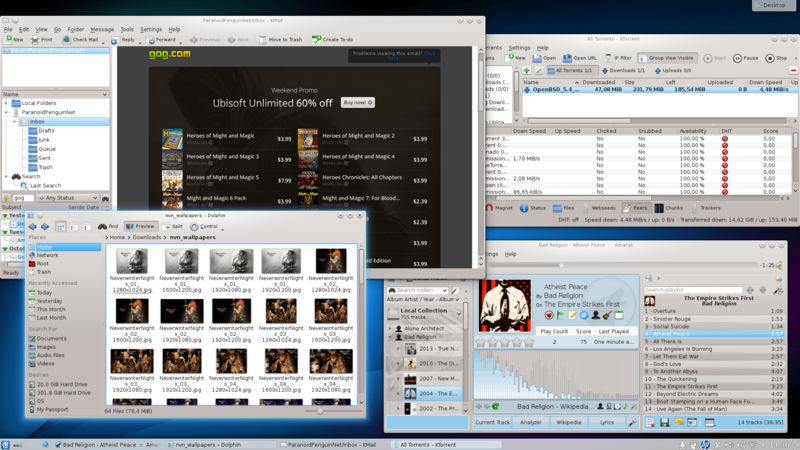 Below are screenshots of the different desktop environments included. I’ll keep this short as my word count warning is flashing red. Slackware Linux 14.1 is what the constant Slacker expects: stable, reliable and true to its KISS policy. Slackware might not be the most forgiving distribution for the Linux novice, but unless your goal is to remain a novice I can’t find any reason as to why you shouldn’t give it a spin. Once upon a time Slackware Linux was the distribution everybody was using. Those days are long gone but the fact that Slackware is still plodding on speaks volumes of the project’s durability and quality. A big thanks goes to Patrick Volkerding and the Slackware development team for keeping this project alive.